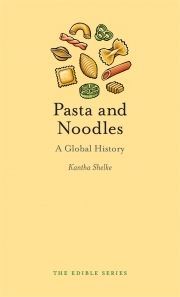 Just when you thought you knew everything about the humble noodle, Pasta and Noodles reveals little-known facts, tasty titbits and cultural lore about the history of pasta. 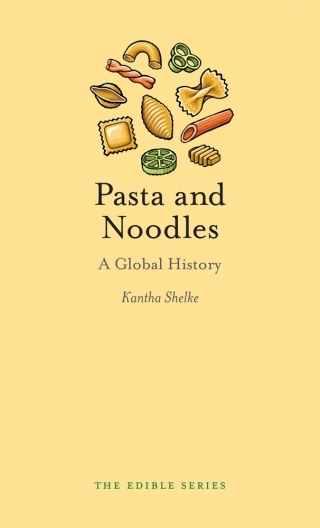 Kantha Shelke takes you on a journey across five continents to trace the evolution of this highly adaptable foodstuff. From roadside noodle snack vendors in Singapore and traditional pasta companies in Parma, to a state-of-the-art noodle manufacturer in Japan, and pasta makers in Brazil, Mexico and the USA, the culinary quest continues in your own kitchen, as the book presents iconic recipes to try at home. ‘The author takes us on a fascinating, carbohydrate-fuelled odyssey across the five continents, from roadside noodle venders in Singapore and the pasta makers of Parma to a state-of-the art noodle manufacturer in Japan, plus recipes to try at home.’ — Italia! Kantha Shelke practises, writes and teaches about food science, nutrition, food law and culinary history. She holds adjunct/visiting faculty positions at Johns Hopkins University in Baltimore and at MCI Management Center in Innsbruck, Austria.